Rob Gronkowski was an interesting person on and off the field. He had the ability to make most situations be taken lightly. I can't think of another person who can take partying and number 69 and run with it, have absolutely nobody care. He's a legend and will forever be remembered as one. In the wake of his retirement, I thought it would be fun to do top ten moments of his career off of the field. 10. Gronk recently was at a Boston Bruins game and got to spike a puck at center ice. 9. Gronk in Miami Beach hanging out with the Police Department there. His caption was "Bad Boyz- Bad Boyz whatcha gonna do when the #Gronk comes for you @miamibeachpd #support #the #police"
8. Gronk gets interviewed by a hispanic speaking journalist and has a couple hilarious answers including "yo soy fiesta" which literally translates to I am Party. 7. Gronk's annual Buzz for pediatric cancer. Although most of our memories of Gronk are all comedic or him asserting his dominance on the football field, Gronk was a great role model for young fans. 5. Gronk Shoots a minigun. All I can picture is this man going into battle looking like this. His face is absolutely amazing. 4. His snow day commercial with Nike. This is one of my favorite commercials of all time. Partially because I was still in high school when this commercial was released and it made me wish my snow day included playing football with some of the worlds best athletes. 3. Gronk's best Parade moments. 2. 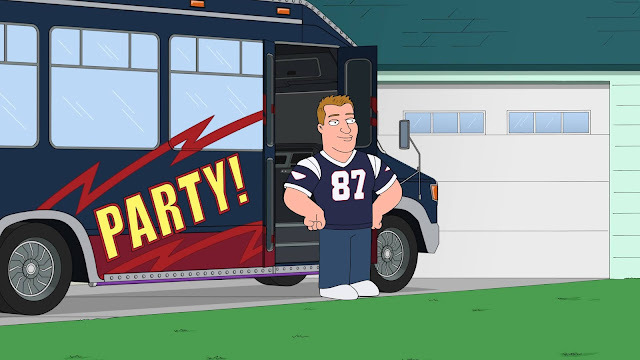 Gronk appears on Family Guy. Gronk moves into a house near the Griffin family and quickly becomes friends with Peter and his friends. They really make fun of Gronk being dumb. Season 15 Episode 11. 1. Gronk steals Brady's Jersey. 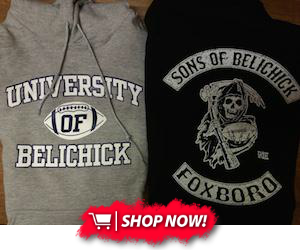 At Fenway Park, Brady's Stolen Super Bowl Jersey gets stolen again by Gronk. Gronk had some great moments off of the field. We will miss you Gronk.